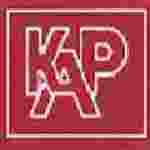 KAPL service representation recruitment 2016 notification apply for 13 posts : Karnataka Antibiotics and Pharmaceutical Limited (KAPL) welcomes application for the position of 13 Professional Service representatives on temporary basis..Candidates who completed theirGraduation is a good opportunity.The individuals who are the occupation seekers searching for govt employments in India this is the best chance to apply. Competitors read the official notification then read all the guidelines and miners precisely then apply before the last date online application got. All the eligible candidates can attend Walk – in – interview on 6th July 2016. Candidates Age Limit: The upper age of the candidate should be 26 years. Academic qualification details: Candidates should be a graduate in science / commerce / arts. Applicant should have minimum 1 year experience in selling pharma products in any pharmaceutical company. Process of section for the job: The selection of the candidates will be on the basis of walk – in – interview that will be held at Karnataka Antibiotics and Pharmaceutical Limited (KAPL), Nirman Bhawan, opposite to Orion mall, Dr. Rajkumar road, 1st block, Rajajinagar, Bangalore:- 560015 on 6th July 2016. Process of applying for the job: Interested Aspirants can appear walk – in – interview along with application form with original certificates and one set of copies in respect of qualification certificates / experience certificates and caste certificates at Karnataka Antibiotics and Pharmaceutical Limited (KAPL), Nirman Bhawan, opposite to Orion mall, Dr. Rajkumar road, 1st block, Rajajinagar, Bangalore:- 560015 on 6th July 2016. Place and address of interview: All the eligible and interested candidates applying for the position of Professional Service Representative can appear walk – in – interview that will be held at Karnataka Antibiotics and Pharmaceutical Limited (KAPL), Nirman Bhawan, opposite to Orion mall, Dr. Rajkumar road, 1st block, Rajajinagar, Bangalore:- 560015 on 06th July 2016.